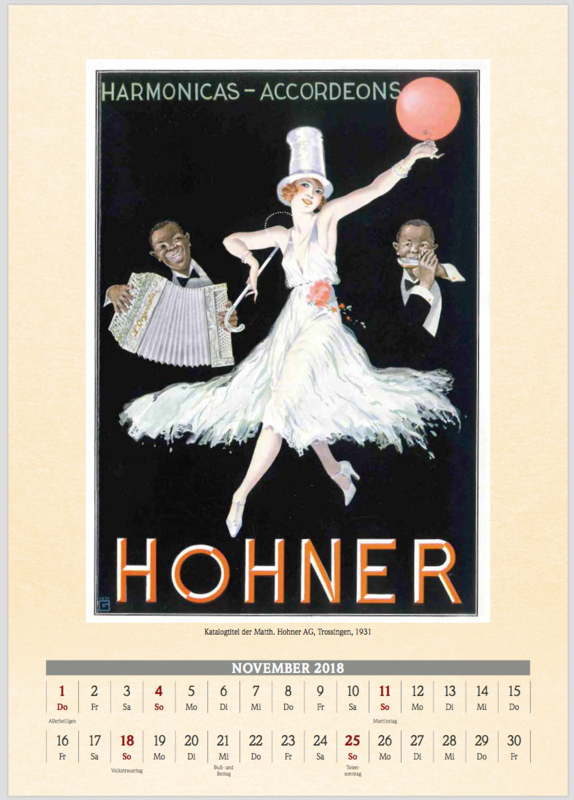 This catalog title from 1931 belongs to the most beautiful advertising motifs of the Hohner Collection. The high-quality advertising in French even contains some color pages. The artist's signature lower left ("G"?) is not identified. Interesting: For the first time black harmonica musicians were pictured.